The song the “The Fold” is about the group called Ivan & Alyosha and how they have been on the road quite a bit and away from their families. Their families mean the world to them, but sometimes they can’t always be there even if they would like to, because they are touring and making their musical dreams come true. I am a stay at home mom as most know, but I work from home also. And many days I am truly trying to juggle it all and can’t always be there when I want to be, like I wrote and shared here about Lily’s Pumpkin Picking at school. Hearing the lyrics and seeing the video from start to end made me truly realize more then ever that what is right in front of me more then ever is so very important even if my career writing and designing is also important might have to put certain aspects on hold at times for those who let’s face it are even more important to me-my family. 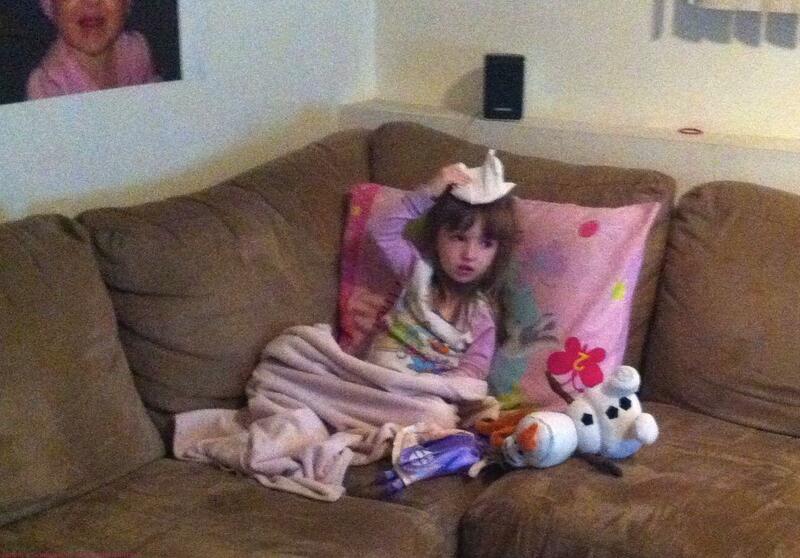 And as many know, my house has been battling illness with first Emma running a fever and being sick. Then, Lily having over 104 fever and missing out on most of the Halloween fun, because she now had had it on Halloween. And then that weekend through the next week was totally run down. Last, but certainly not least was Kevin, who started with it mid-week into the beginning of the following week. So, over two weeks worth of all in my house being effected and truly just feeling miserable and did I mention the lingering coughs, which still seem to be hanging on tight for dear life? Trust when I say, I have felt like anything, but wanting to write or read blog articles. I felt terrible with being sick, but also just wanted to hug and keep my kids free from getting sick again after this. I muddled through and even had over 98 comments on my Friday FTSF post. Don’t get me wrong, I love the interaction and thrive on it most days, but do have to admit I was totally burnt out by the end of this week in particular. By that second weekend after this, I found myself closing the computer pretty much altogether and Saturday afternoon, I snuggled in bed with my two girls, who made me remember again how much I do love the cuddles and hugs a ton. Must admit was the best feeling in the world and that night we all got in the car to have a meal at Friendly’s. But even before we went into Friendly’s we went to the store next store that sells adorable puppies. The girls’ faces said it all and they lit up like Christmas trees at the sight of these furry cute creatures. This one day alone reminded me that what is most important is my family, my husband and girls. I work a lot even though I am home all week long. I am stressed many days and I truly do need a break sometimes. I have said it here a few times, but I think now more then ever I get it and need to set a better schedule for myself and family. More Important To Me Then Anything in the World! I literally couldn’t go past 9 pm many nights recently and it doesn’t take a rocket scientist to figure out that I just have too much on my plate many days. I have decided to let go a bit and give myself a pass. I don’t have to be online as much and seriously need to walk away more now then ever I think. I am not saying I am walking away completely, but if I post on here, wonderful! 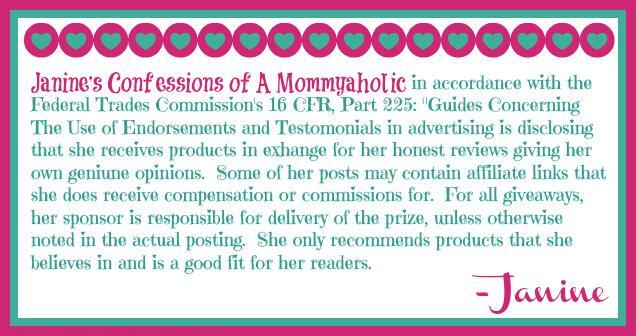 But if I have a post on The Mommy Blog Hoppers, J9 Designs or elsewhere, I may not have a post here for the day. I also may step back from reading all day long only reading in the morning before the girls get up, because I am seriously getting burned out on this. Not that I won’t try to read my favorites and all (you know who you are and I love you for it! ), but I am also designing during the day (when the girls are at school) and sometimes I just can’t do two things at once, as much as I can multi-task, I seriously can’t do it all. So, please forgive me, if I take a step back once in awhile now. I can tell you that I have already volunteered two days for Lily (one being her birthday celebration on November 21st and the second being her Thanksgiving Feast on November 25th) at her pre-school. I want to be there, because that day I indeed wrote about recently that I couldn’t nearly broke my heart. She didn’t know it in the end (thankfully), but I knew and that made all the difference to me to try to be more present for her. Both my kids are only this small for such a short time and the way they look at me is only going to last so long, as well as how much they look for me to help with things, too. Like, for instance, just this minute I took a short break while writing this, because Emma asked me to help her with using the bathroom. It is a fact that this too shall pass and I will be needed less for bathroom trips and everything else, but while I can you better believe I am going to take more advantage of it here and now. So, I am taking back a small piece now (trust me you aren’t getting rid of me that easily!) and making sure I don’t lose a moment of this precious, innocent time I still have with them while I can. Like the song by Ivan & Alyesha shares I will not ‘Fold’ only to look back on those years I could have wasted only to want them back. It is Veteran’s Day today and I will be spending it with my favorite guy (he has the day off) and two little princesses (no school, because of the holiday), the way it should be now, but do enjoy Ivan & Alyesha’s The Fold now on me! Stella & Dot is excited to announce that starting today, 11/6, through 11/12, when you buy any handbag, Stella & Dot will donate a sparkling gift to the women, wives and daughters of our Military. Be sure to promote this offer on your site today! Deck the toybox with Melissa & Doug’s top holiday toys-the perfect Christmas gifts for kids! Browse their Terrific 25 Toys, their picks for the very best new children’s products this year. Or check out their Holiday Gifts that Wow-they’ll make the special kids in your life feel like they’re on the top of the nice list! From budget-friendly stocking stuffers to big presents with major impact, you’ll find everything for your holiday list at MelissaAndDoug.com – Toys and Childrens Products! Click Here! Don’t forget to check out my web design company for specials running at J9 Designs for all your web design needs, plus we offer Paypal’s Bill Me Later, too! And also, check out a brand new Ask J9 Designs Article to help with your techy questions and don’t forget to ask your own techy questions, which may be featured in an upcoming blog article, too. We all need a break sometimes. I am a WAHM mom, too, and every so often I throw in the towel, skip everything for the day and just relax so that I can recharge. Robin and I am so with you on this. Seriously playing hooky once in awhile in so necessary!! Wow!! I can completely relate, J9! It really feels like we do not have enough hands, even though we do not work from home! Thanks for linking!!! Excellent post Janine. First of all I hope everyone will be hale and hearty soon. Have a good holiday with your family today. I agree with you, family is very important and there are times when we need to take a break and cool out. My best wishes to you and your wonderful family. Looks like we both are having the exact same issues with balance. I am glad you are taking the time to realign yourself. Kerri, I was so happy to read your post this morning, because when I was writing this I was truly wondering if it was just me. And hoping I wasn't the only one having these types of thoughts and issues. So glad we are trying to do what is best now and thank you for sharing, because honestly again just so nice to know I am not alone. I can completely relate. It's tough juggling everything and hard to balance family with the demands of a blog. My recent post I Don’t Like Mondays Turns 40! Taking a step back is important. I think we work more when we're home because it's comfortable to do it whenever/every day. If we were out of the house in an office you can be we'd relish our time off (I know I did). It shouldn't be different at home. Family is the most important thing, always. So true Rosey and I know I used to work in an office when I was younger, as well as then teach for a few years. And when I was done for the day, I was done, but since working at home it is a different ballgame of sorts and truly truly be though. So, couldn't agree more. Janine, if you can name something that is more important than family I'm willing to listen. Sounds to me like you have your priorities right where they should be. Have a wonderful Veteran's Day my friend. Thanks so much Bill and I am seriously trying my best here, but so agree about family. Happy Veteran's Day to you, too!! Oh honey- I SOOOOOO GET IT!!! I think so many of us pour our hours and lives into this gig- because our HEARTS are so into it… and once you have a friendship through another blogger, the responsibility we take on to follow them and comment and support them is and becomes un-bearable. We feel so obligated and driven to connect and share and love each other deeply through our words, our presence- all the while abandoning and neglecting the very core values we so desperately need to put first. How many nights I have been up hours and hours- how many days I have spent hours sitting here at my laptop. Decllnng the very needs of my family- and quite honestly, myself. There truly has to be a balance. I am getting better at pacing myself. Letting go when needed. And my expectations of reading every post that every dear blogging friend writes is too high. So true Chris and it is all about our families in the end game so to speak. I am really trying now to see the bigger picture and can't thank you enough for your kind words and prayers for me, too!! 🙂 xoxo!! definitely take a step back when you need it!! Thanks Tiffani and seriously I had to comment over at your blog today even though I was so going to talk away right at the moment your e-mail came through, because on a day when I needed a break, you truly made my day. So happy you are back again and this is the reason I blog for friendships like yours 🙂 xoxo!! See you can say "my favorite guy" and not offend anyone! haha. I can't because of Des and Cassidy. Anyway, taking a step back is a wonderful idea. We are lucky to have these years right now when they're small and when we do have to take breaks from writing to help in the bathroom and with snacks. I often need to step back, and then I do it and get very refreshed. And as you know with me, if the online relationship is too one-sided, I give it up with no regrets. That would never happen with you. Even if you took a month off in Hawaii. I'd still visit. My recent post Love Share. You nailed this post! Just this weekend I took a break from everything. Blog reading, twitter and Instagram. It was so nice to just focus on the important things like my family. And you are so righ in that we have such a short time of them being so little and innocent. Collin likes me to rub his back for a few minutes before bed and so many nights I just think of all the things I could be doing instead of rubbing his back.Last night I reminded myself this would not last long and I should cherish this time with him and I really enjoyed our sweet cuddly moment . You will find the perfect balance for you. Sara, after I wrote this post yesterday, Lily went into Kevin first at bedtime (when she should have been in her bed). He told that she should go bother her mother! I understood, he just wanted to watch the one show he looks forward to once a week with Walking Dead. Of course, she came into me and climbed into bed to snuggle with me. I turned the computer off and we went to sleep together. Kevin apparently moved her back to her bed and I woke to find Kevin sleeping next to me. But the point is, I know sometimes I just have to give in with stuff like this, because someday she won't want to sleep and cuddle with me. Thank though for sharing and just nice to know I am seriously not alone in trying and needing to find better balance at times now. I totally understand what you are saying here! I absolutely had to pull back on Internet activities and regroup and make a new plan after a while. It's so time consuming but like you said just map out a better plan:). Right now, I'm lucky the kids are in school all day and use that time to write and read other blogs or research. After they get home, I'm devoted to them and whatever until after dinner dishes are cleaned up and the house is in order. In the evening I SO enjoy having a cup of coffee while I read what's up with everyone else. Good for you to realize what you need to do and then do it!! I hope that you are able to truly embrace this break and enjoy every moment with your girls and best guy!!! There is no need for you to apologize!! You have an amazing blog and business–and it takes a LOT to handle it all. I truly don't know how you do it!! I will still be here everyday 🙂 I hope you get the rest you deserve!! And good for you for recognizing the signs of it all becoming too much, a lot of people ignore them! Nellie, seriously I love you, too and trust me the feeling is very much mutual. So glad we have become blog friends and maybe someday we can blog that we met up with each other (hey you are in Brooklyn and I in Long Island!!). Thanks again and I am trying seriously (work in progress though!). My recent post Happy Veteran's Day! I hope you enjoyed your family and had a good Veteran's Day today. I also hope your husband is feeling better. I enjoy the video. Di have a great day today, but still ended up working a bit. I guess old habits do die hard. Hope you had a great day and send hugs your way!! We all need a break sometimes. We can’t do it all, and that’s ok. I’m a stay at home mom and blog for fun. I put my career on hold because there’s a time and season for everything. I say I don’t have to prove anything to anyone. I know the value of hard work, working 3 jobs while in college full time. Now the focus is on the kids. Do what you need to be healthy for your girls! So true April and will say that I am trying now more then ever to do what is right and best for all of us. Mama I know exactly how you feel. This past weekend with my mother in town I didn't turn on the computer once and it felt so good. Yes, I paid the price for that yesterday and today but I understand. I have to realize too that with me going back to work it is going to become very difficult altogether to stay caught up with blog reading and writing and every other thing we have to do on a daily basis. This is a job in itself after all. Just like you I have to let go too. I know that the readers that stick with me are my true blog friends and vice versa. I know I totally paid for doing the same this past weekend yesterday later on and today, too. But sometimes just truly so worth it and just has to be done. Also, I will always be there come rain or shine whenever you do post still when you go back to work. You aren't going to lose me that easy my friend, because I do love you so!! 🙂 xoxo!! Good for you! We all need a break. I took a blogging break a month ago and it did me a world of good. janine, i want you to know that you give so very much to the blog community. your posts, and your writing, and all of your interactions are so personal that it's ok to step back and take time out. YOU GIVE SO MUCH! please don't let it bog you down as we are your friends who love you and will be here no matter what. do not worry. rest, back away from the computer(! ), and be with your family. It's important to take the time that you need to connect with your life. Fortunately, the Internet will be here. Thank you for sharing on the Creative Buzz Hop! I'll be pinning this to out Pinterest board. Thanks for sharing and linking up with Countdown in Style! Don't forget to come back on Friday to see if you were featured!